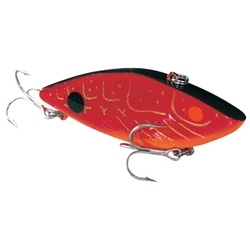 The Cotton Cordell Super Spot creates more noise and more strikes with its multiple rattles. This classic lipless crankbait is easy to fish at virtually any depth and makes for a great casting lure. We offer it in a few sizes: C24 - 2-1/2" 1/4oz, C25 - 3" 1/2oz, and CS25 - Suspending 3" 3/8oz.